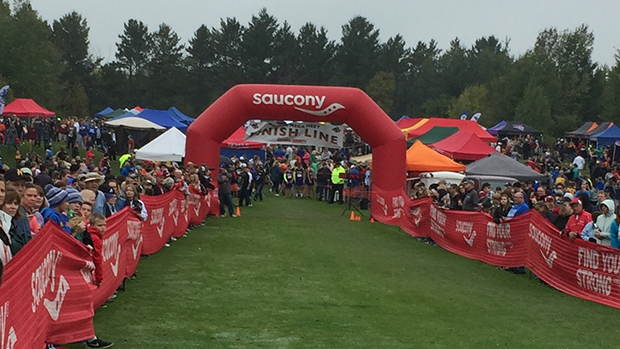 Lauded as the largest high school cross country meet in the world, the Milaca Mega Meet is now it its 48th year of existence, meaning that the number of runners who have competed there can be numbered in the hundreds of thousands. As the entire town of Milaca has a population of under three thousand, between runners, coaches, officials, and spectators,on this day the population nearly quadruples. The spectacle almost needs to be seen to be believed. And as a result of the Mega Meet taking place on a different weekend than the Roy Griak Invitational, this year will not only feature record totals of over 6400 registered participants and 164 teams, but a greater portion of the top talent in the state. With 18 races scheduled to be run, each beginning precisely 15 minutes after one another, the meet doesn't actually take much longer than a normal meet. In comparison to Griak where the 10 scheduled races are spread over 8 hours, Milaca's 18 races ought to be completed in under 5 hours. The course has been altered a few times over the years, but the current configuration is is what has been used for the past ten years. After a loop around a small grove of trees a couple hundred meters from the start line, the runners then run twice around a larger loop before meandering their way into the far reaches of the golf course, after that taking a straight shot the last four hundred meters to the finish. 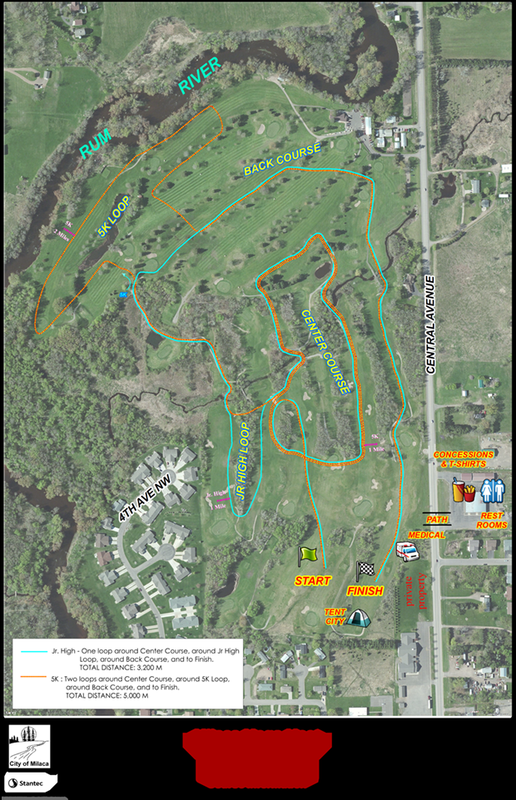 While the course is fairly flat, there are a number of areas with small rises and drops and a few sections of rolling terrain. The runners will cross over three different wood bridges a total of five times. Historically, the course has featured firm footing and been the home to fast times, but all bets are off when the weather decides to play games. Well, this is one of those years that the weather seems like it is going to cooperate. Tomorrow's temperatures are forecasted to hover in the 50's for most of the races, and won't even hit 60 until around the time of the final races. The partly-cloudy weather will keep things pleasant for the runners as well. Of course, yesterday saw a deluge of rain fall on the state, and the course likely won't have dried out by race time, so the course could be a bit on the soggy side, possibly preventing any record-breaking times. So without further ado, read on and see what you can expect from each of the four varsity classes tomorrow! *Note: The following projections and analysis was made assuming each team would run their top seven athletes in the varsity races. We know that will not be the case in every instance, and many underclassmen will run in their grade level races, which will throw off our analysis.